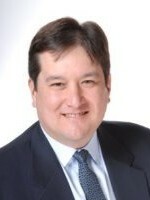 Sobul Primes & Schenkel of Los Angeles announced that Mark Umemoto has been admitted to tax principal at the firm. Umemoto has been a member of the firm since 2007 and has significant taxation experience with a strong emphasis in the real estate arena. Prior to joining the firm, Umemoto spent 10 years at a large Los Angeles accounting firm, where he honed his skills as a tax expert.